Where do I position my Dovecote? When choosing the locality for your dovecote, a sheltered yet secure site will be essential. It is also important to avoid a position near to trees or fences, from where cats, foxes and other predators might be able to reach the birds. Can I buy a Dovecote for display purposes? 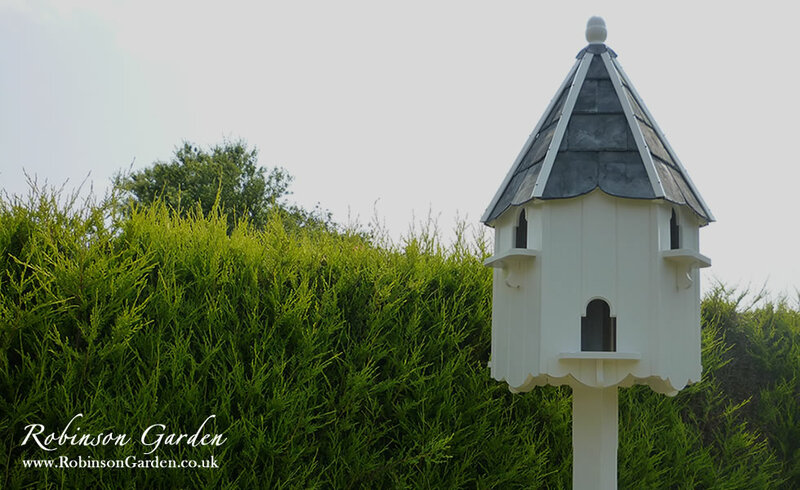 Some choose to purchase a dovecote specifically for their picturesque beauty and they look very attractive in all types of gardens. There will be the occasional birds that will decide to nest in it during the season. If you wish to do this, it is essential that you keep the dovecote clean and avoid large amounts of mess being left on the dovecote. There is nothing to stop you from housing doves in the future. We have had customers in the past that have chosen to purchase a dovecote for display purposes and overtime, decided to purchase doves after a few years of owning their dovecote, building up their knowledge on how to keep doves. Either way, it is a great addition to any garden. If you decide that you would like the dovecote for display purposes and you would prefer to not have any birds nest in the dovecote, it may be worth putting netting in the door openings from the inside. Dovecote homing netting would be suitable. Will I need to do any Groundwork? Groundwork will entirely depend on the type of Dovecote that you are purchasing. 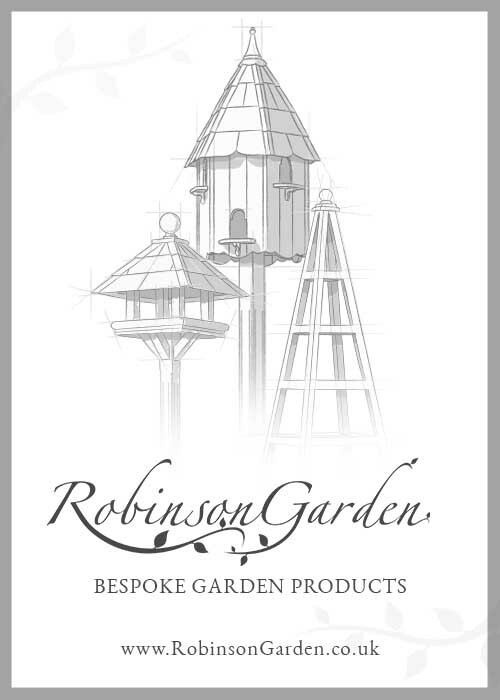 At Robinson Garden, we offer a wide choice of Dovecotes to suit any garden. 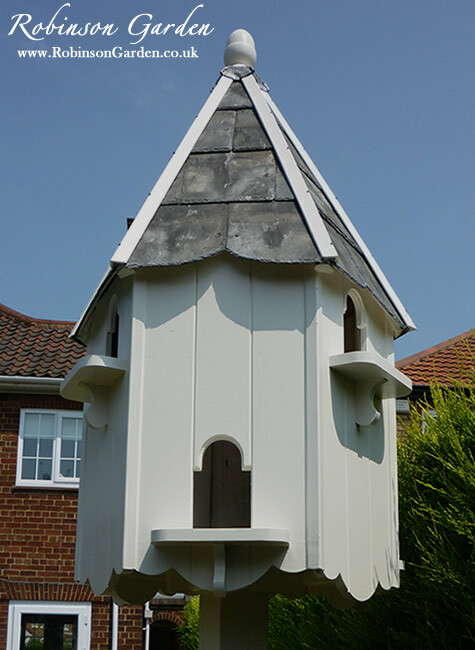 We offer the choice of Freestanding or Ground fixed dovecotes. 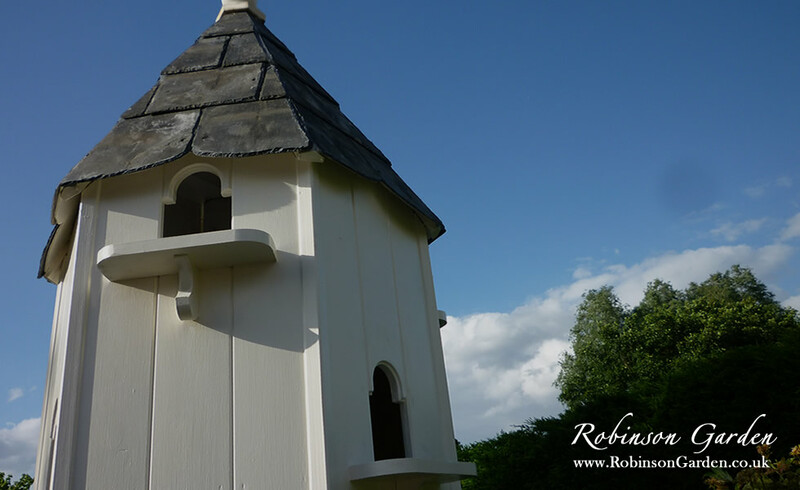 By having a freestanding dovecote, it will allow you to move your dovecote anywhere you wish (providing two or more people move it with care). There are times where we have had clients that have decided that they may want to move home in the next few months or years and would like their dovecote to come with them to their new home. A freestanding dovecote is also very useful when it’s been discovered that the position that the customer would have liked the dovecote to be, didn’t have the correct ground properties to dig a suitable hole. All of these problems can be fixed with a freestanding dovecote. If you have decided that you would like your dovecote in a particular place and you are able to do so in the correct means, the ground fixed option is perfect. If you purchase a dovecote from Robinson Garden and you choose the ground fixed option, it’s essential to assess the ground and ensure it’s suitable. 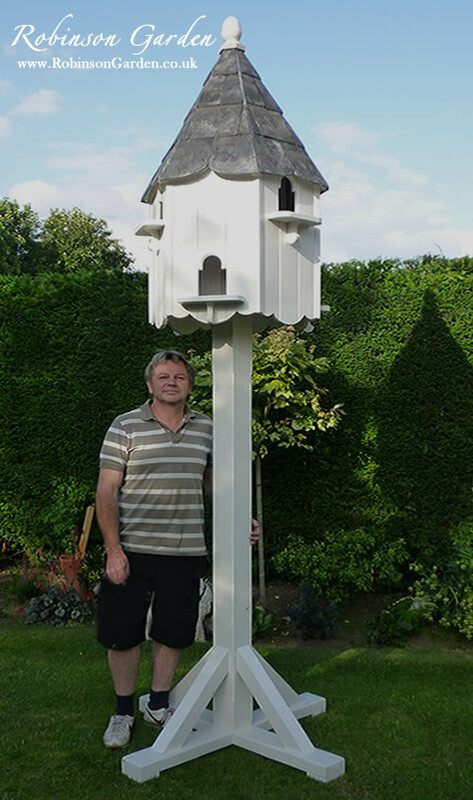 If you choose our fitting service, we will do all the necessary groundwork and have your dovecote up and ready to use. 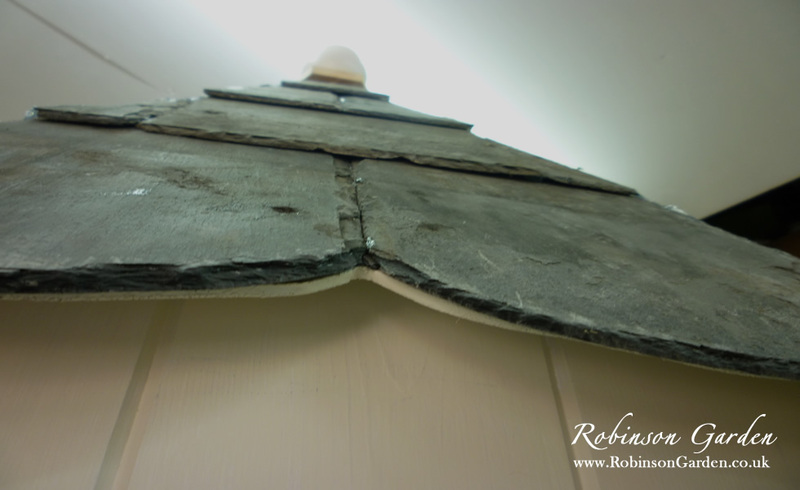 For the details on the method please refer to the erecting a ground fixed post- fitted dovecote. 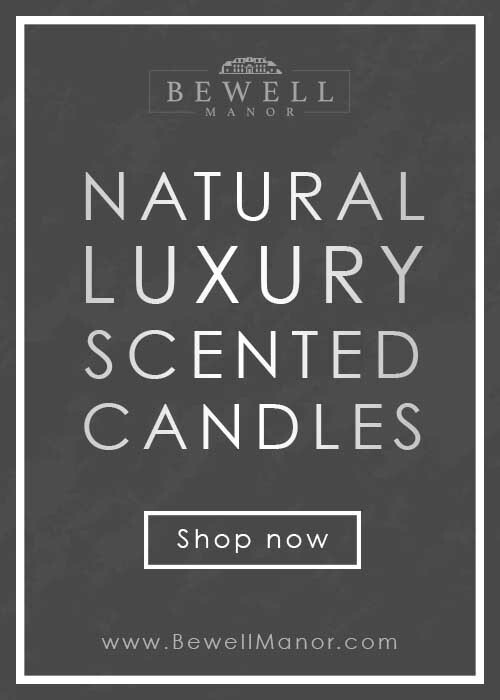 Our fitting service is only applicable to orders placed in Mainland England & Wales. Do I need planning permission for my Dovecote? Each situation is judged on different criteria, it may be the place you are planning to erect the dovecote is near a boundary or near a public footpath, listed building or an area of natural beauty. If you fall into these criteria, it may be a reason to seek further help and advice. As guidance, they also say that the dovecote shouldn’t stand taller than 3 meters without planning permission. All of our dovecotes are under this requirement so you should generally be ok. If you believe you think you will require planning permission please contact your local planning office about planning permission and if you need to apply. How tall does the Dovecote need to be? As a general rule, it needs to be high enough to prevent predators from attacking the doves when they are homed in the dovecote. Due to this, as guidance, it has to be at least 2 meters high. All of our dovecotes meet these criteria and should prevent any attacks on the doves when homed.